Description Friday: 1:00 Books open. Exhibitions 2-7. Open 5D at 7:30 Saturday 8-11:30 exh. 12:00 Futurity, Derby then Open Sunday 9-10:30 Exh 9-10:30. PEEWEEs at 11:00 then Fut, Derby then Open 5D We hope you can join us at this annual event. 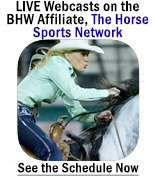 We will be giving beautiful Shea Michelle Buckle bracelets and Classic Equine prizes in each D on Sat and Sun. Daily payouts. We offer Incentive races based on the rider's age. We will also give goreous pendant trophys to the winners of the FUTURITY and DERBY on Sat AND Sun! 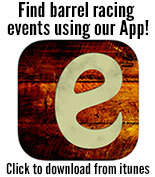 Follow WPRA rules You can enter online on www.ebarrelracing.com under Equivent or you can get an entry form emailed to you. Hoping they are online on www.circletarena.net too. Check Stacy Jerrett Barrel Racing Facebook for all results etc. Email for an entry for to jerrettstacy@gmail.com or text your email address to 254-967-4245. $2500 added money - $400 goes in Futurity and $100 in Derby.